Overgraded imho by the fine folks a psa, but still neat. Pardon the random Musial in the otherwise pure thread. ..is there a remote chance that there is frosting on that case ??? 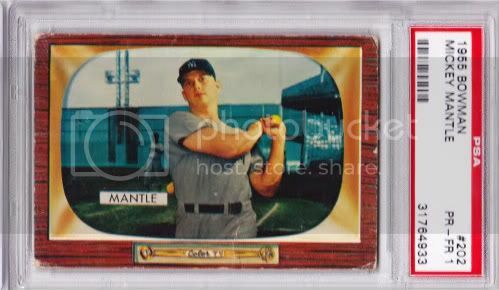 Awesome Mantle card Robert, overgraded or not! I wondered when the Dice Game Mantle would make an appearance. Thought you were holding out, Bob. And major CONGRATS, Leon! Nice eye appeal on that one. Chris, why doesn't the 68 game card have rounded corners? Is yours a proof? I've seen them referred to as proofs--and I think one of the major grading companies slabs them proofs--but my thought has always been that someone just cut down a previously uncut sheet to make this. 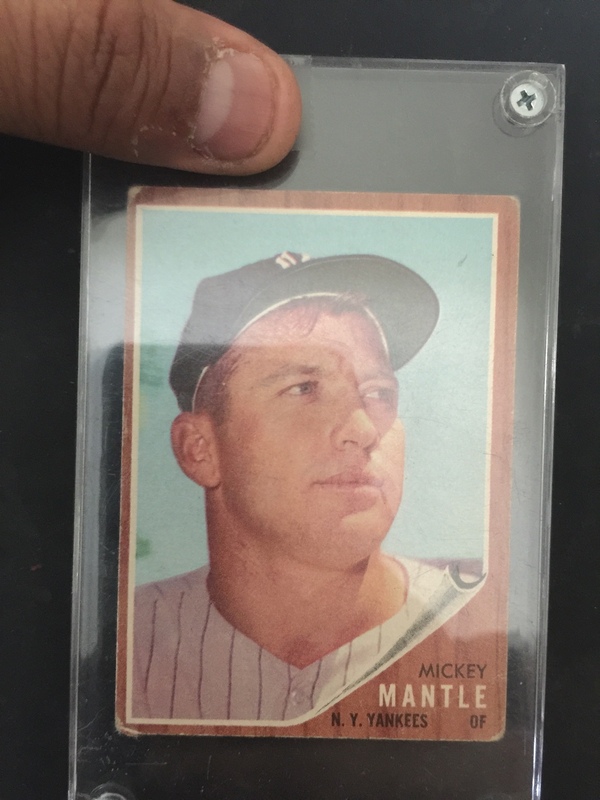 1953 Bowman color #44 the Standard Catalog says the NM "value" is $775 I paid $15 or 1.9% book. 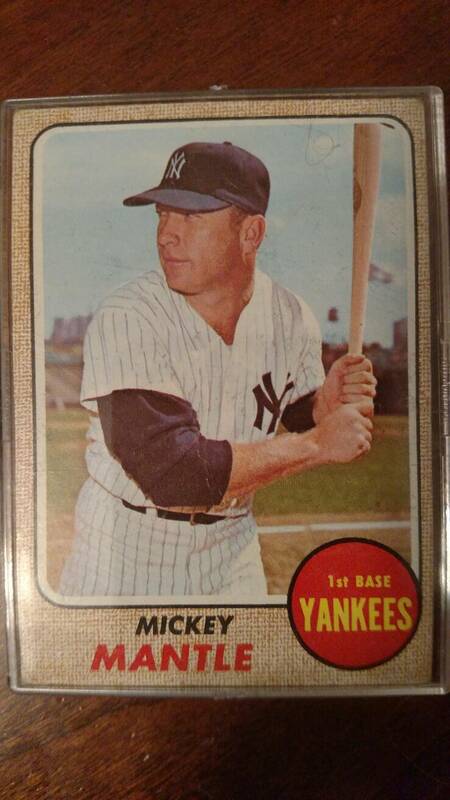 1957 Topps #407 the Standard Catalog says the NM "value" $465 this card cost me $14 or 3% book. Still, beautiful pieces of old time cardboard! Nice pick ups! Great cards got to like a bargain. Here's a couple bargains I picked up. Finally snagged the Topps Super. This one is a psa 5. Most of the Supers come in ultra high grades, but I was happy to find a more affordable mid-grade to scratch off the list. 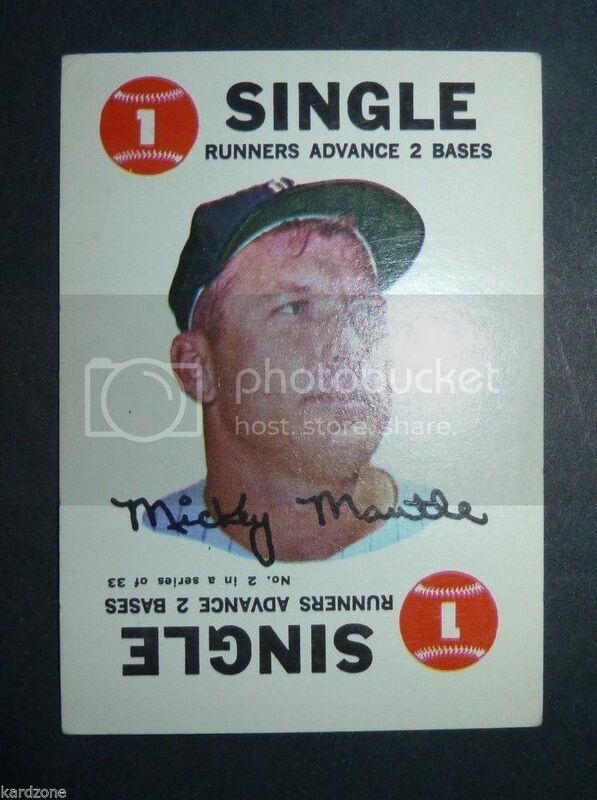 I dearly love this card of Mick, ever since the first time I saw it. Whilst going through the set, I glimpsed the Mantle, and bought the set on the spot. 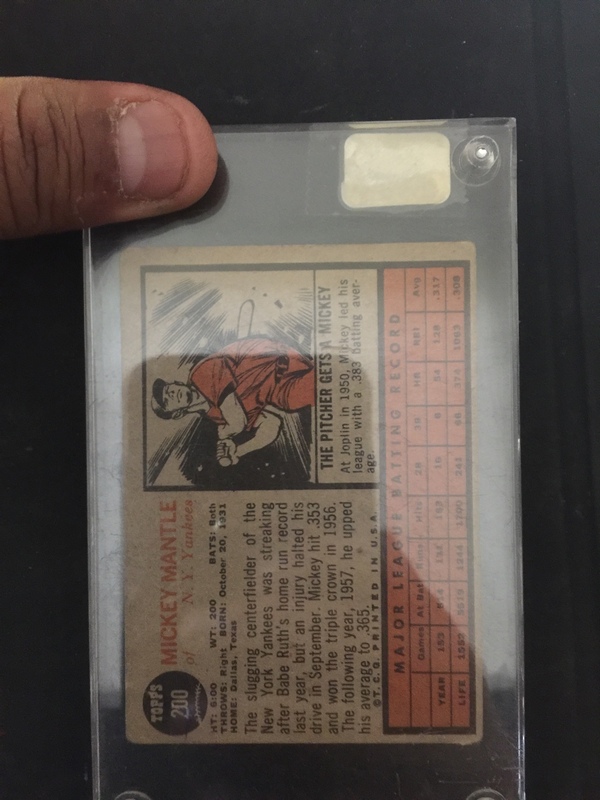 It was July of 1972, at the Midwest Sports Collectors Convention in Troy, Michigan. I bought it from Bill Haber, a kind man who worked at Topps, and drew their cartoon artwork on the backsides. 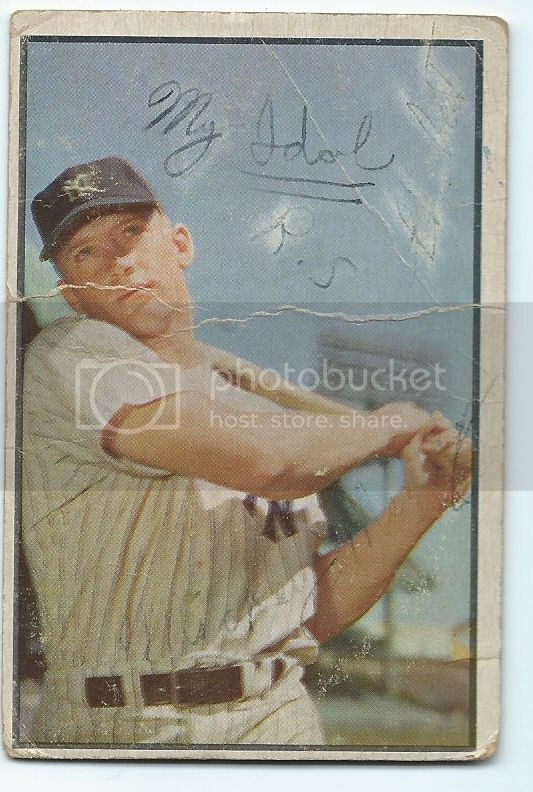 He'd brought a black satchel along with him, full of papers, letters, what have you, and about a dozen brand new gleaming mint sets of the '69 Topps Supers, I suppose to help fund his journey to Michigan from New York, as well as a few card purchases. That set was worth every penny. Extra nice pick-up, Orlando. Nothing jumps out to me in a bad way about your fine card. The colors and picture registry are flawless. 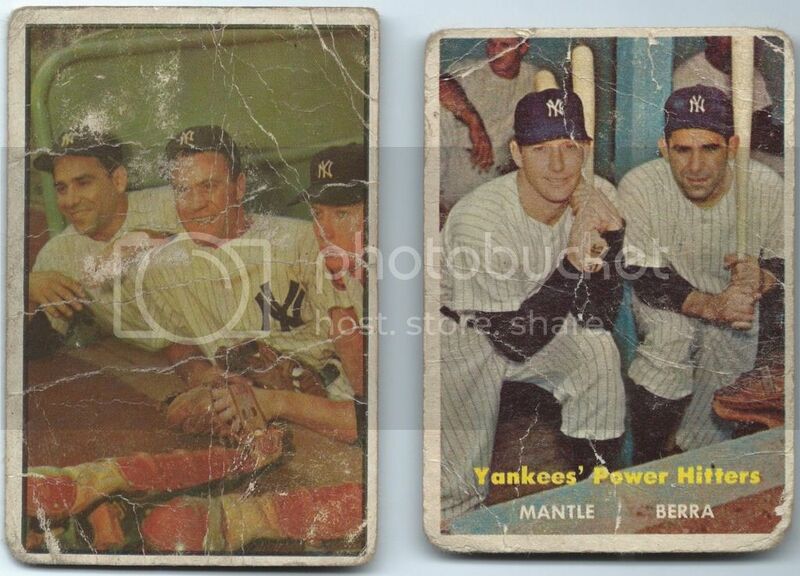 By the by, isn't it nice that you rarely have to be concerned with centering defects on these '69 Topps Supers! Last edited by brian1961; 07-02-2017 at 10:31 PM. Well-named card , huh ? 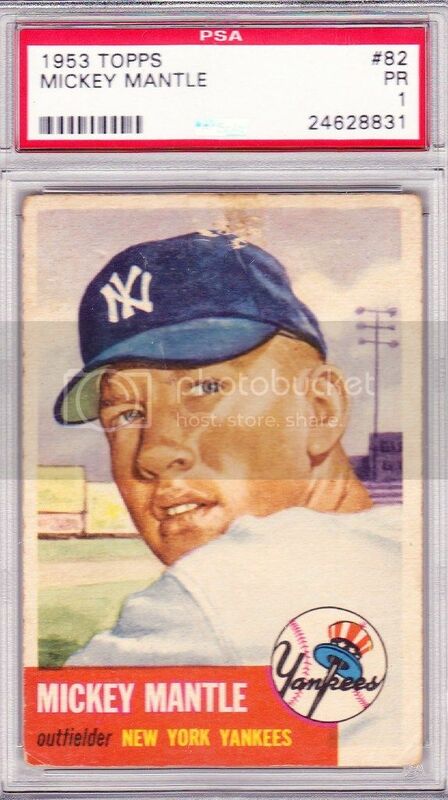 ....When I picked this up many years ago I didn't know much about sixties cards , still don't actually , but the first time I saw this I actually at first thought it was a Bob Lemke fantasy card , one of those beautiful center-page-binding stiff stock inserts , and his connections to Sports Collectors Digest magazine and the grading company that they had had 'way back then at that time just re-inforced my thought process . Managers' Dream indeed. They could just as well have named it "pitchers' nightmare". I traded for this Mantle back in 1970. The owner was an older kid down the street, a teenager, but I don't remember his name. Rounded corners? Off center? Creases? Meh! It didn't matter then, and it doesn't now. 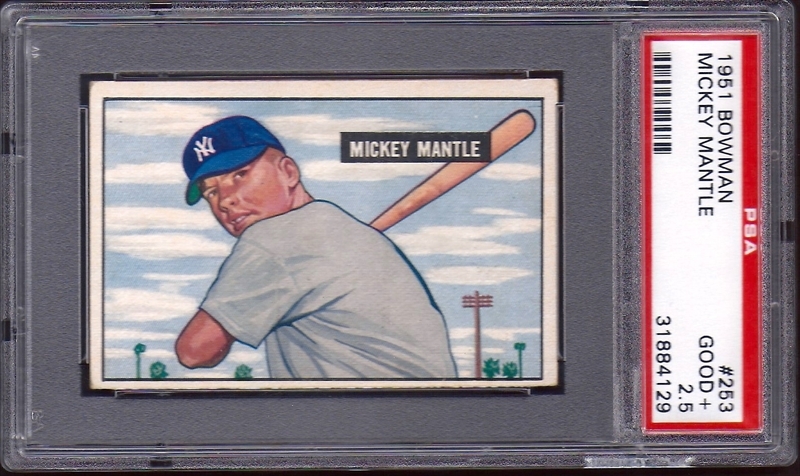 Very nice centering on your 61 Mantle. Card looks great, way to go ! 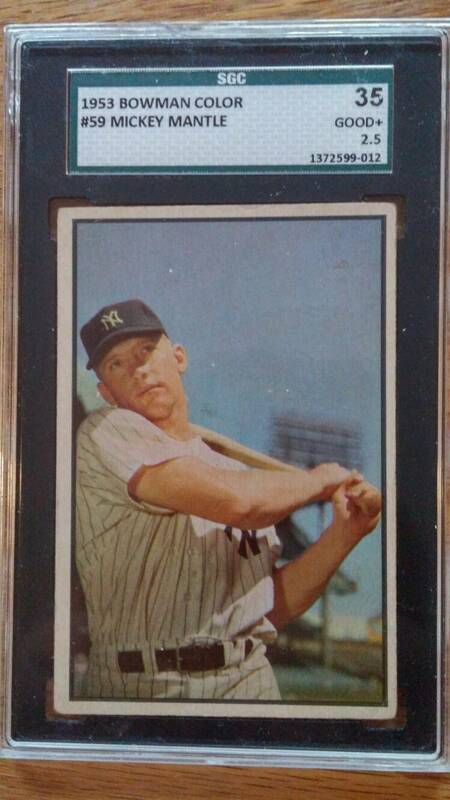 What a great looking 1961 psa 7! Last edited by quitcrab; 08-10-2016 at 07:03 AM. Great 61! Love that card! Great card and story. Reminds me of me, except I don't have any childhood cards left. 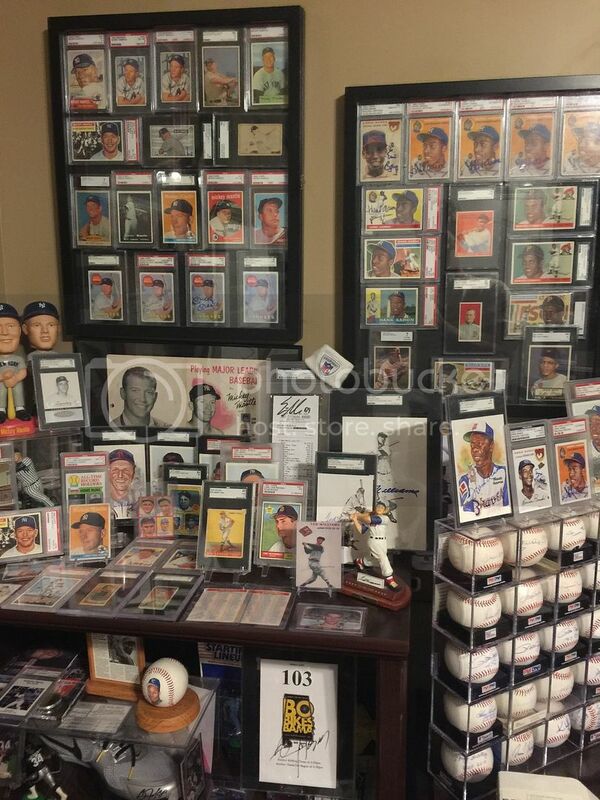 The signed Mantle run is probably the most jaw dropping collection I have ever seen. How do you display them? 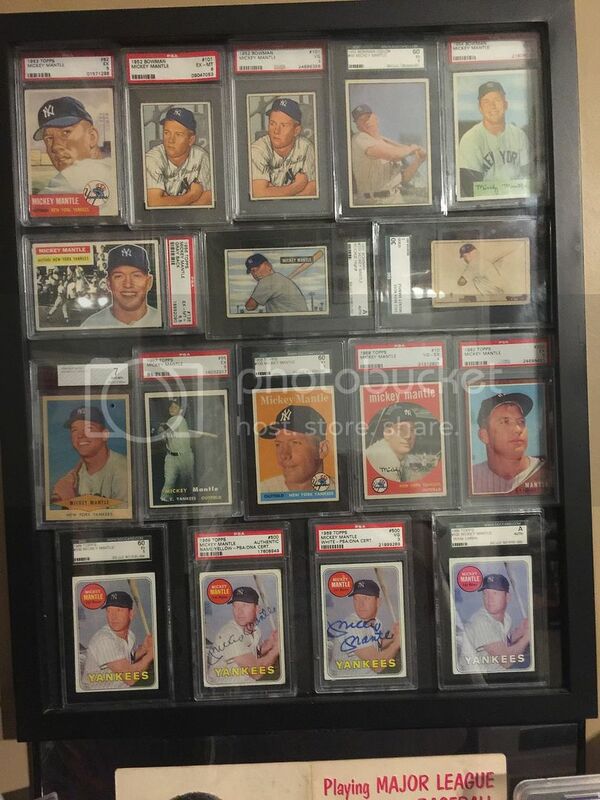 Did I miss a 1952 signed one or do you have it? Last edited by begsu1013; 08-22-2016 at 09:25 PM. Kit Young is a great guy. He is still in business (i get his catalog). I always know I can call him and iron out a fair deal. You should reach out to him and tell him the story; i bet he will get a kick out of it. Last edited by orly57; 08-15-2016 at 12:20 AM.